It is a CPA Public Practice and fully qualified Tax Agent located in Brisbane CBD. We now provide accounting internship for young professionals to find their ideal role and build their Accounting career. If you want to work in a CPA accounting firm and are ready to hit the ground running, we want you on our team! The ideal candidate will have a can-do attitude, passion for making businesses more efficient and successful, and will be able to get up to speed quickly. 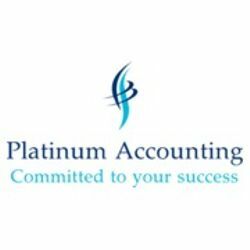 Under the direction of the experienced accountant, the Accounting Intern will assist with many daily accounting activities follow month end process. •	Excellent written and verbal English communication skills. •	High attention to detail, team player and proactive in all areas of work. •	Time Management skills, and ability to multitask and prioritise in a fast-paced environment. •	Assist with month - end reporting. .au and provide us with any relevant documents/qualification. Improve your chance to get this job. Do an online course on Accounting starting now. Hi Platinum, Reach more people by sharing this job with your network. Get updates on latest Accounting & Finance Jobs in Australia - Brisbane.